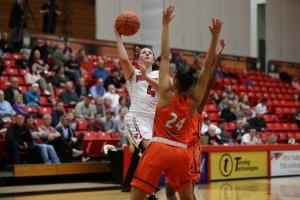 After a home loss to Bucknell after two wins, it seems the Youngstown State University women’s basketball team (2-3) is having a hard time staying consistent. 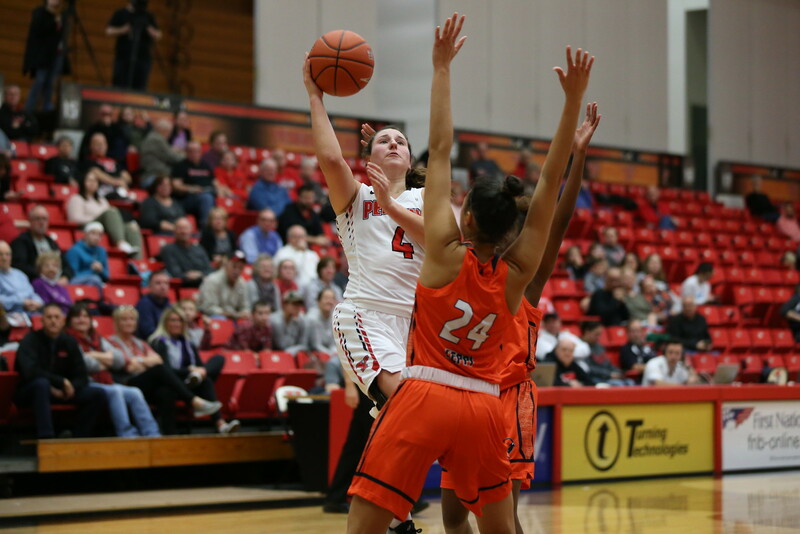 After YSU’s loss to Bucknell University, 66-60, it is looking to find consistency in each game. “It’s been a really tough schedule. We played an ACC team [University of Pittsburgh], Bucknell was picked first in their league, Kent State was picked second in their league. It has been difficult but we’ve been right there with those teams,” YSU head coach John Barnes said. Against Bucknell, almost everything but the scoreboard seemed to go YSU’s way. YSU’s biggest problem so far has been rebounding. Against Bucknell, it was outrebounded 44-27 and outscored 28-16 in the paint. YSU only made two free throws to Bucknell’s 12 made free throws. “The hardest thing for us has just been putting it all together on the same night. First few games we had too many turnovers. I thought against Bucknell we had too many mental mistakes. We took care of the ball but had mental errors,” Barnes said. When YSU outrebounded other teams, it generally wins games. It outrebounded Loyola University Chicago 34-29 and outrebounded Ohio Valley University 43-29. In YSU’s three losses, it was outrebounded. Now YSU can only look forward as it faces Robert Morris University (2-3) who have played well this year. RMU allows teams to outrebounded it by over 10 per game. Even in its wins, RMU was outrebounded and also turns the ball over more. Barnes believes that its tough early season schedule will prepare it for the tough conference schedule. RMU is the beginning of YSU’s four-game road trip. YSU will also go on the road to face American University, the University of Akron and St. Francis (PA) University. Each of those teams will give YSU quite the test. “It’s never fun losing no matter how it happens. I honestly think that we know that we are capable of winning these games. We know what we are capable of as long as we put everything together,” Arbanas said. Arbanas has been a key in YSU’s success over the last few years. She will need to continue to find her rhythm as she is averaging six points per game while shooting just 26.3 from the three-point line. She scored 15 points against Pitt but hasn’t scored in double digits since. Barnes said that because American was picked third in its conference so it’s a tough test. YSU hits the road to face American on Dec. 2 at 2 p.m. in its second game of its four-game road trip.